One day earlier, Pieter had received a text message from a close friend who lived in Jogja, telling him that Mansour Fakih had been admitted to the hospital in a coma. But, Southeast Maluku and Jogjakarta are not close, and of course Pieter had other work that had to be finished. He planned to go to Jogjakarta two or three days later. But, after his dream, he realized he could not postpone his departure any longer. For the Kei people in Southeast Maluku, a dream like Piet had is a disturbingly serious sign. When he got to Jogjakarta, Piet had no more patience and wanted to see Mansour immediately. At Bethesda Hospital, many people he knew had gathered, but Piet didn’t care. He wanted to see Mansour right away, before his dream became reality. He was shocked into silence by the knowledge that Mansour had been in a coma for three days. Mansour Fakih, a social movement activist who has long been known for his consistence, simplicity, spirit, and generosity of heart, was now lying on a hospital bed, his body full of tubes. The doctor explained that arteries in his head had burst. Piet could not hold back his tears any longer. His thoughts were full of memories of his good friend who had held to the huge goal of helping humanity. In front of the horizontal body of his friend, Piet bowed his head and prayed. 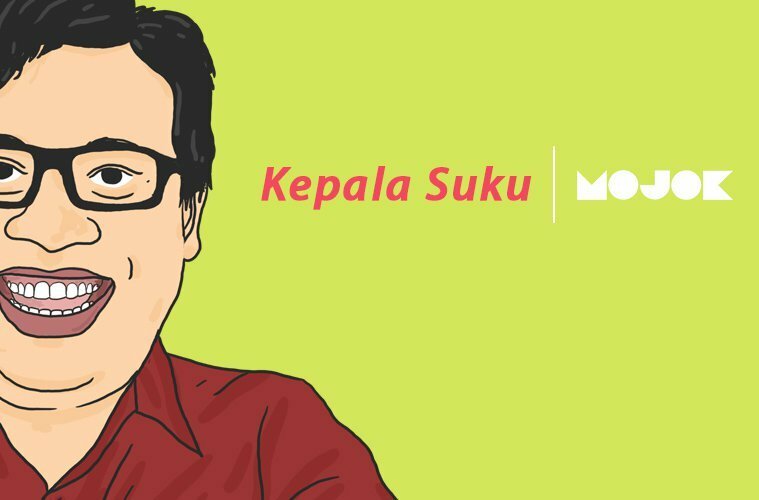 The name of Mansour Fakih is not a new one for social movement activists in Indonesia, and even internationally. Most recently, he was entrusted with the position of being a member of the National Commission for Human Rights (KOMNAS HAM). Mansour then was chosen as a member of the “Helsinki Process,” an international forum coordinated by the Foreign Ministery of Finland, several Southern nations, and various international NGOs to work for a solution to the problems of globalization. In the Helsinki Process, only two people represented Asia. One of them was Mansour Fakih from Indonesia. Unlike most of the intellectuals of Indonesia, Mansour did not grow in a quiet laboratory in a tall ivory tower. He grew through the dialectic of theory and practice. His two degrees (master and doctor) from the University of Massachusets, United States, did not make his attitude arrogant or his head busy with intellectual amusements and honors. He saw the degree and position as a tool to struggle for what he believed in. The intellectual path of Mansour Fakih began when he was a student at IAIN (a State Institute of the Muslim Religion) Jakarta, in the Ushuluddin (Philosophy) Faculty, in the early 1970s. During that period, IAIN Jakarta was fertile ground for various thoughts about Muslim renewal, particularly theological rationalism as developed by the rector at the time, Harun Nasution. As a student of Professor Nasution, Mansour was engaged with the ideas circulating among the students his age, including Helmi Ali Yafie, Hadimulyo, Azyumardi Azra, and Komaruddin Hidayat. The intellectual atmosphere at IAIN Jakarta at that time was increasingly being shaped by the thoughts of young Muslim intellectuals a few years older than Mansour, led by Nurcholis Madjid and Achmad Wahib. While the majority of Mansour’s friends were carrying these ideas into the political arena, as the student movement blossomed towards the end of the 1970s, Mansour focused his activities more on the education processes of younger students. It was here that he met with several younger students, including Saleh Abdullah, whose names cannot be separated from almost any part of the story of Mansour’s activities and life. Mansour began to seriously think about Muslim rationalism. He concluded that many religious people in Indonesia follow a mistaken theology. Religion had become dogmatic. An understanding of Islam that simply received religion and revelation “as is,” he felt, led to rigidity of thought, particularly in facing the problems of everyday life. Mansour felt that there had come to be no correlation between religious teachings and the problems that people face. Religion had become only revelation and tight regulations located far away in the heavens. Religion had even become a tool for powerful forces engaging in quiet oppression. In this phase, Mansour became a strong believer in the ideas of Mu’tazilah, a rational theological stream that had become a major phenomenon in Muslim history. After graduating from IAIN, Mansour worked at the Institute for Research, Education, and Social and Economic Development (LP3ES) as a member of the field staff and a researcher. At that time, his thoughts were constantly disturbed by the reality he saw in the field. At that time, he worked with a group of handicraft producers in Sukabumi Udik, South Jakarta. There, he saw that the artisans worked hard and diligently, their goods sold well, but they remained poor. This deeply disturbed him, nagging at his thoughts until he made himself busy asking and discussing with senior members of LP3ES, including Tawang Alun, Dawam Rahardjo, Aswab Mahasin, and Ismid Hadad. Particularly from Dawam Rahardjo, Mansour became acquainted with the idea of structuralism in political economic analysis as an analytical tool for examining the problems of the people. He became increasingly convinced of the validity of this structural approach when he became involved in community education work through his activities at the Institute for the Study of Development (LSP), which was established by senior activists at the time, including Adi Sasono, Soetjipto Wirosardjono, Sritua Arief, and Dawam Rahardjo. At LSP, Mansour increasingly worked with another senior activist with whom he had also worked with at LP3ES, Utomo Dananjaya (better known as Mas Tom). One day, LP3ES and LSP wanted to renew and develop methodologies of education and training. They chose the “Jayagiri Group,” a non-formal education group headquartered at the Center for Community Education and Training in Jayagiri, Lembang, and Bandung. In that group were two activists from Volunteers in Asia (VIA), Russ Dilts and Craig Thurborn, two people whose stories also became inextricably intertwined with Mansour’s in the coming days. The Jayagiri Group worked together with the Directorate of Non-School Education, part of the Department of Education and Culture, to develop a participatory training methodology that would incorporate the critical theory approach of Jurgen Habermas of the Frankfort School and social-structural analysis theories, as well as the psychological and social action theories of Kurt Lewin. Stocked with these intellectual tools, Mansour began traveling in the world of community education. In this intellectual and political-practical journey, he met various groups and individuals active in popular education and advocacy. Among these were Toto Rahardjo, Erwin Panjaitan, Simon Hate, Ahmad Mahmudi, and Roem Topatimasang, all of whom had long been active at the grassroots doing community organizing. Toto and Simon particularly had long been working on organizing through popular theater. They introduced Mansour to artists and cultural figures who had graduated from the Gontor pesantren (Muslim boarding school), notably Emha Ainun Nadjib. Emha and Mansour had many discussions about Muslim theology. Through conversations with these people, Mansour grew more directly familiar with Paolo Freire’s critical education methodology. Mansour began to be connectedwith a group of Catholic intellectuals who often used Freirean educational techniques, such as Romo (Father) Ruedi Hoffman from PUSKAT and Romo Mangunwijaya from Pastoran Salam in Jogjakarta. It can be said that this meeting between structural social analysis and critical education methodology bonded with Mansour’s thoughts about critical theology of Islam in a fusion that has lasted until the present day. The opportunity to realize these ideas in a more integrated and systematic way through real programs came when LP3ES and LSP formed the Network for Pesantren and Community Development (P3M). Here, Mansour spoke with various young progressive Muslim intellectuals from the “traditional Islam” community, including Abdurrahman Wahid, Masdar Farid Mas’udi, MM. Billah, Mufid Busyairi, and Muslim Abdurrahman, as well as old friends from his days at IAIN, LP3ES, and LSP, such as Helmi Ali, Mochtar Abbas, and Sugeng Setiadi. Some of the leading pesantren in Java became an arena for them to practice these ideas. The most striking example is the “grassroots activist school” called the Institute for Community Development (IPM) at the Pabelan pesantren in Magelang, Central Java. This school attracted much attention at the time because, first, the pesantren – which had received international awards including the Aga Khan Architectural Memorial Award and the Kalpataru National Environmental Award – fostered an intellectual atmosphere that was open, intense, and inclusive. People like Romo Mangunwijaya and Arief Budiman spoke there frequently. Second, the leader of the pesantren at that time, Kyai (Muslim religious leader) Hamam Dja’far – who became famous as a partner of Romo Mangunwijaya in defending the people of Kedung Ombo – was known as an ulama (Muslim religious leader) with an open way of thinking. He gave Mansour and his friends the freedom to implement their model of critical education at his pesantren. All of this was made possible by the three leaders who coordinated IPM (Mochtar Abbas, Sugeng Setiadi, and Roem Topatimasang), old friends of Mansour’s. Through this “Pabelan Group,” Mansour got to know Mochtar Abbas, a mathematics student at the Bandung Institute of Technology (ITB) who left his studies to live in the rural area around the Pabelan pesantren. Mochtar became an important, interesting phenomenon in the Indonesian NGO movement of the time. However, not many knew that Mochtar in fact was a serious student of philosophy, of religious and interfaith theology, particularly of the teachings of the philosopher Krishnamnurti. Mansour gained another friend for serious discussions of philosophy and theology, something that was a primary goal for both of them. Mansour’s relationship to his activist friends continued in various social and political activities, until Mansour left for the United States in the late 1980s to continue his studies. Before departing, he reached an unwritten agreement with his friends that he would work to “theorize” their praxis. This was a synergetic agreement between “unschooled people” who taught directly based on experience and life and a friend who was entering into intellectual circles to gain the legitimacy of an academic degree from formal education. Mansour did not abuse their trust. In 1990, he received a Master of Education degree from the University of Massachusetts with his thesis Participatory Research on Economic Development: A Source Book for Practicioners. Based on his intellectual ability, his alma mater in Amherst gave him the opportunity to pursue a doctorate. Among the social movement activist community in Indonesia, the name Roem Topatimasang is constantly associated with Mansour Fakih. The two of them were considered “constant partners.” Their friendship began when Adi Sasono, Dawam Rahardjo, and Utomo Dananjaya planned to develop a team of expert “training facilitators and popular educators” at LSP. Mansour proposed the inclusion of several former activists and leaders from the student movement of 1978 who had just been released from jail as political prisoners. Among these werea pair from Bandung, S. Indro Tjahjono (formerly of the Student Board of ITB) and Roem Topatimasang (former head of the Student Board of IKIP Bandung). While Indro was increasingly involved in political discussions and the Development Study Society (MSP) at that time, Roem was focusing his activities on training programs and education at the grassroots level. Roem became a new partner of Utomo and Mansour as they did educational programs and trainings throughout Indonesia. Utomo and Mansour were the primary facilitators, while Roem was charged with designing the modules, manuals, and training and educaiton media. One day, at a training for the leaders of the Alliance of Indonesian Batik Cooperatives (GKBI) in Cirebon in 1983, Roem was traveling with Utomo and Mansour as the curriculum, process, and media designer. On the second day, Utomo and Mansour were worn out and woke up late. They panicked and hurried to the training room. To their surprise, the training was continuing smoothly – Roem had taken over, and they found that he had a unique, lively, interesting style. Utomo and Mansour “baptized” Roem as a member of their team. Mansour and Roem were an ideal pair for facilitating training and educational processes. Mansour had the theory and academic background, and Roem had empirical experience as an activist in the student political movement and as a grassroots organizer. On any given topic, Mansour tended to begin with theory, then relate it to real problems. Roem, on the other hand, always started with the real situation and empirical experience, and then moved towards theory. Roem was known for his organizing work in various areas of Indonesia and (since the 1990s) in several other Southeast Asian nations (Malaysia, Cambodia, Vietnam, Thailand, Burma, and Timor Lorosa’e). He was active in community organizing in Java, Sumatra, Kalimantan, Sulwaesi, Maluku, Bali, and Nusa Tenggara, working on various issues and problems faced by the people in each area. Roem eventually “forced” Mansour to accept the scholarship to continue his education. At that time, Mansour was of very mixed feelings about the scholarship, because he felt that the academic world was not his home. He almost refused the offer. A similar thing happened when he was offered the position of Country Representative (CR) of OXFAM-UK/I in Indonesia. After much thought, and a lot of argument with Roem, he accepted the position. His old friends, primarily Toto Rahardjo and Erwin Panjuaitan, also supported Roem. Pieter met Mansour when he came home to Indonesia for his doctoral dissertation research. They met at a training in Baturaden, Purwokerto, Central Java, in 1989. The training was a reflection forum for NGO activists, coordinated by Roem Topatimasang, Toto Rahardjo, and Erwin Panjaitan, supported by Simon Hate, Mochtar Abbas, Saleh Abdullah, and S. Indro Tjahjono. The forum was held because they saw that things were amiss in the work of the NGOs that were sprouting up like mushrooms in Indonesia at that time. They were uncomfortable seeing that there was actually no meaningful social change coming out of the work of these many NGOs. They invited Mansour (who was then on vacation) to help facilitate the reflection, particularly from the perspective of theories and critiques of development. With Mansour, the forum succeeded in deconstructing the way that Indonesian NGOs’ work was following the developmentalism promoted by the government of the time. The second time Pieter met Mansour was in 1992, when Roem Topatimasang recommended that Mansour do additional research in Southeast Maluku. At that time, Mansour met a young man who was facilitating the community organizing work in the area. Don Marut was at that time the Program Officer for OXFAM-UK/I for Maluku, and had chosen Maluku as his work area, also based on Roem’s recommendation. It was in Southeast Maluku that Mansour and Don found a living laboratory where they could enrich their experience in following the call to work for humanity. At that time, something amazing was happening on the island of Yamdena, in the Tanimbar islands. The indigenous peoples there were facing the cruelty of the safety apparatus and the state. They were opposing the permits being given for use of forest resources (HPH) in their traditional land. They were angry. Their lives were being disrupted by a system in the name of “state policy” and “the common interest.” Working with and assisted by Roem and Don, Pieter facilitated the community in opposing these brutal policies. They armed themselves with all of the forms of advocacy that were possible at the time: mass action, blockades, general opinion campaigns, and lobbying at the national and international level. As part of this campaigning and lobbying, Mansour took on a role for himself and went to see two of his old friends, Saleh Abdullah and S.
Indro Tjahjono, who were then leading the Secretariat for Cooperation in Preserving the Forests of Indonesia (SKEPHI) and the Indonesian Front for the Defense of Human Rights (INFIGHT) in Jakarta. Here, Mansour met for the first time with Hira Jhamtani, an environmental activist who quickly found that she had the same views as Mansour about the global aspects of environmental problems, and the connection to transformation processes and social changes. The five of them (Mansour, Indro, Hira, Saleh, and Don) began to seriously develop a “global analysis” of environmental issues, indigenous peoples’ rights, and human rights in general. At that time, they together formulated an analytical framework that they called “the politics of -transformation,” a framework that was considered “too different” or “too radical” even by NGO activists. Carrying in his head the experience of all of these friends, Mansour began to design an analytical framework in the form of his doctoral dissertation. Helped by a special team of his friends (Sugeng Setiadi, MM.Billah, Helmi Ali, Mufid Busyairi, Mochtar Abbas, Ahmad Mahmudi, Saleh Abdullah, S. Indro Tjahjono, and Roem Topatimasang), he began to organize reflective and recollective meetings in various groups. These meetings were also a part of the research process described in his doctoral dissertation, The Role of Non Governmental Organizations in Social Transformation: A Participatory Inquiry in Indonesia. With this dissertation, he received a Doctor of Education (D.Ed.) degree from the University of Massachusetts in 1994. While in the United States (1988-1994), Mansour’s thoughts were enriched by the ideas of Antonio Gramsci and the perspectives and theories of the feminist movement. One of his professors was Arturo Escobar, a well-known anthropologist from Latin America who “enriched” Dependence Theory – which was most often used to explain poverty and underdevelopment in Latin America – with elements and analysis from cultural and social movement theory. Dependence Theory was at the time heavily colored by classical Marxian analysis and was too structural and deterministic. At the same time, an older student at Amherst, William Smith, was finishing his doctoral dissertation on the theory and practice of Paolo Freire’s pedagogy of liberation. Smith can be considered a direct student of Freire, as he was involved for several years in Freire’s field work in Latin America. This doctoral dissertation is still considered one of the most complete and best interpretations of Freire’s thoughts and work. Mansour was lucky to have the opportunity to discuss with Smith and also with Freire himself. Mansour himself began to deeply examine the history of social change in Latin American nations. Amidst the intense work of writing his dissertation, this serious fan of The Burning Season and Apocalypse Now, this fan of Pink Floyd and George Santana, this lover of the romances of Pramoedya Ananta Toer, was entrusted with the position of Country Representative OXFAM-UK/I in Indonesia. Mansour truly made the most of this opportunity to support the appearance of “new social change movements” located in various areas and dealing with various strategic issues in Indonesia. Mansour continued his intensive discussions with S. Indro Tjahjono and Hira Jhamtani, who shared his disapproval of the many manifestations of neoliberalism. And, with his solid grasp of the ideas of the feminist movement, Mansour also used the resources of OXFAM-UK/I to introduce gender analysis and gender-based approaches more holistically and intensely, particularly among NGO activists in Indonesia. It can be said that this was his most phenomenal work, introducing and developing gender analysis as a tool for social analysis in a systematic and holistic way, including at the level of programmatic implementation and practical methodology. Women and gender activists in Indonesia have a true debt to him in this respect. Before Mansour’s work, many activists understood the theory and analysis of gender only in a partial, fragmented, or only theoretical way. By 1997, the Suharto regime was reacting fiercely to increasing dissent. Mansour invited his old friends to form an organization that was more “flexible” than REMDEC, which was legally registered as a business, a limited partnership. As usual, this idea was born from long discussions with his “constant partner,” Roem Topatimasang, who at that point was ready to find a new home after living and working in Maluku for some five years. The two of them invited several old friends (Rizal Malik, Sri Kusyuniati, Sita Aripurnami, Fauzi Abdullah, and Wilarsa Budiharga) to establish the Institute for Social Transformation (INSIST) in Jogjakarta. After INSIST was officially instituted, other friends joined, including Toto Rahardjo, Saleh Abdullah, Amir Sutoko, Simon Hate, Noer Fauzi, and Yando Zakaria. Various intellectuals also became involved in INSIST’s activities, including P.M. Laksono, Francis Wahono, and Ivan A. Hadar. The youth who Mansour had met in Southesat Maluku and who had become Mansour’s work partner at OXFAM-UK/I Indonesia, Don Marut, joined in 2003. After finishing his Master’s at Cambridge University, England, Don had taken a position as the Executive Secretary of the Southeast Asia Committee for Advocacy (SEACA) located in Bangkok, Thailand, while finishing a second Master’s at Chulalongkorn University. When his contract in Bangkok was finished, Mansour successfully urged Don to come to Jogjakarta and become the Executive Director of INSIST. In practice, INSIST has developed as an open organization for many social movement activists and intellectuals from throughout Indonesia. Mansour himself likes to refer to INSIST as “the school for Indonesian social movement activists.” Many well-known activists from various parts of Indonesia have made INSIST their place to “rest and reflect,” including Budi Setianto and Yusuf Sawai (Papua), Nus Ukru and George Corputty (Maluku), Hedar Laudjeng and Haris Palinduri (Sulawesi), Ahmad Harbandi (South Kalimantan), John Bala (Flores), Made Suarnatha and Yoga Atmaja (Bali), Nani Zulminarni (Jakarta), Henri Saragih and Ahmad Sofyan (North Sumatra), and even Nuno Rodriguez, Abel Santos, and Ego Lemos from Timor Lorosa’e. Dozens of young activists have also been born from the INVOLVEMENT (Indonesian Volunteers for Social Movements) program, which works in various areas in Indonesia and Timor Lorosa’e. Writers, literary figures, and young cultural figures who have mastered the discourses and ideas of social transformation have been fostered by INSIST through the Yogyakarta Cultural Academy (AKY). With Roem Topatimasang, Anu Lounela, and Eko Prasetyo, Mansour a Permanent Editorial Board Member of the INSIST Journal, Wacana, which has now become a major journal of thought in Indonesia, a journal that becomes a place for the struggle over discourses of social transformation, not just serving as a vessel for intellectual games. From the story of these people, we can see what is really in INSIST’s “head,”: a community of people with a range of expertise and backgrounds, gathering without attention to ethnicity, race, religion, seniority, and who graduated from where or has what degree. Most of them are people who were not well known beforehand. They generally are, in the favored phrase of AKY, “ordinary people” from “ordinary communities.” Emha Ainun Nadjib and his friends from the Pak Kanjeng Community and the Dinasti theater group, in late 2003, gave INSIST a “birthday present” with a performance of musicalization of poetry entitled “Testimony of Ordinary People.” This idea of “ordinary people” is also part of Mansour’s own background. Born in Bojonegoro, East Java, on October 10 1953, into an ordinary family, Mansour married Nena Lam’anah, a classmate from IAIN Jakarta. They were blessed with two sons, Farabi Fakih (22) and Fariz Fakih (19). When Mansour was in elementary school in his village, he had an experience that permanently marked him and affected his political perspective. As students always did at that time, Mansour participated in the celebration for Indonesian Independence Day. Part of the celebration was a competition in military-style marching at the district and regency level. Mansour asked his mother days ahead to prepare his best clothes for the marching competition. When the day came, he was not chosen, only for the reason that he was too short. Little Mansour was very disappointed, and ever since then has felt an emotional connection to people whose bodies were considered “imperfect” by public opinion. This feeling grew stronger when he suffered his first stroke in 1998, which weakened his body’s ability to function.This empathy gave him spirit when he was asked by a group of people with disablities in Jogjakarta to facilitate their struggle to demand their rights. Along with the leader of the organization, Pak Setyo, Mansour rejected the term “disabled” and suggested a new term, “diffable” (an abbreviation for “different ability” or “differently abled”). Mansour was always driven to discuss this challenge as an integral part of the overall fight for human rights. After his long intellectual journey, full of new thoughts about fighting injustice and about how social movements can work against oppression, it seems natural that Mansour became quite well known in his work on economic, social, and cultural rights, and that his involvement in human rights work carried him to become a member of, among other institutions, the National Commission on Human Rights (KOMNAS HAM). Among his friends, Mansour was also known as a person with a good sense of humor. Three days before the second stroke that placed him in Bethesda Hospital on February 6, 2004, Saleh Abdullah received an email with an attached photo of Mansour holding a large kerapu fish (about 20 kg) that he had caught in the waters around the Kei Islands. Mansour had written, “In this world, there are three categories that differentiate people. First, people who embrace neoliberalism and people who resist it. Second, people who still use Microsoft Windows and people who use Linux. Third, people who cannot fish and people who can fish.” Saleh had a good laugh. Mansour was of course very anti-neoliberal and in 2003 had begun using Linux on his laptop (after his close friends explained to him that it was part of the larger fight to resist the intellectual property rights regime being advanced by neoliberalism). However, Saleh is still not convinced that Mansour wanted to, or could, fish. In Indonesia, becoming a person who stands strong on his own two feet and comes up with his own ideas is not a simple thing. A person is considered a person if they have a clear “trah” (chain of people/ideas), caste, and origins. Family and community background, group or institutional relationships, and a reputation are a passport for vertical and horizontal mobilization. People immediately ask about any person, where is he from? What major figures are supporting him? What institutions support him? What groups is he affiliated with? The image of Mansour represents people with unremarkable origins, uncler caste, and a cloudy social-political and social economical trah. His spot on the map is deemed unclear. It might seem that the history of a person like this might not be worth noting. Mansour is an example of a normal person, born into a normal family, who had the opportunity to develop his knowledge in the city. Like other normal people, he saw injustice up close, no need to travel far away, and grew angry at what he witnessed. Mansour was also aware that he was a weak person. For this reason, he needed friends and an organization to realize what they dreamed of. Perhaps for this reason, Mansour worked hard to create an organization and community. He always thought that an organization could be a place for continued study based on shared experience for people who were always unsatisfied and restless, like himself. For Mansour and people like him, there were two things that are foundation in their thoughts, so that they remain firm: learning together from experience and being consistent in making choices. Both are difficult, and there is a price that must be paid for every choice. In the eyes of his friends, Mansour also has flaws. He can never say “no.” Many easy things become difficult in his head, simply because he cannot be stand firm if it means rejecting, disappointing, or hurting others. But this flaw can also be seen as a virtue. This attitude makes Mansour easily accepted by many people and allows his ideas to spread in “guerrilla” fashion into a wide range of forums and groups. As a normal person, each flaw can be seen as a virtue, and vice versa also. Mansour will never cease to be known as someone who worked constantly to defend justice, yet was still known as being humble and polite in conversation with all. Pieter realized that Mansour was like a book that is always open, will always be open, that welcomes anyone to read and draw valuable lessons from experience working for shared goals. (Translated by Jessica Champagne).